The federal judge overseeing the Pacific Fertility Center class action lawsuit has denied several of the defendants’ attempts to push the lawsuits filed against them into confidential arbitrations. Specifically, Prelude Fertility, Inc. and Pacific MSO (the companies responsible for egg and embryo storage at the time of the incident) and Chart Industries (the manufacturer of the cryo-storage tank) will have to defend their legal claims in federal court. Individuals and families who were affected by the Pacific Fertility Center equipment failure and would like to understand their legal rights in the Pacific Fertility Center Lawsuit are urged to contact our team at 800-254-9493. Last year, the federal judge overseeing the Pacific Fertility Center lawsuit appointed our team to a leadership position with responsibility for directing and prosecuting claims against defendants. Our team led the efforts to oppose arbitration and to obtain detailed information from the defendants to uncover exactly what caused PFC’s cryo-storage tanks to fail, and how the failure might have been avoided. We are pleased that these defendants will have to face responsibility in court for the harm they have caused so many individuals and families who were affected by this tragedy. We look forward to continuing our efforts for justice on behalf of our clients whose lives were forever affected by the tank failure. Our lawyers are providing free, confidential case evaluations for anyone affected by the Pacific Fertility Center tank failure. For more information about the lawsuit, or to contact our team, visit the Pacific Fertility Center Lawsuit webpage or call 800-254-9493. 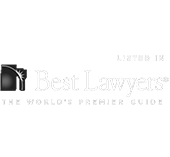 Our attorneys pride themselves on being there for our clients at every stage of the litigation, from intake through verdict or settlement.